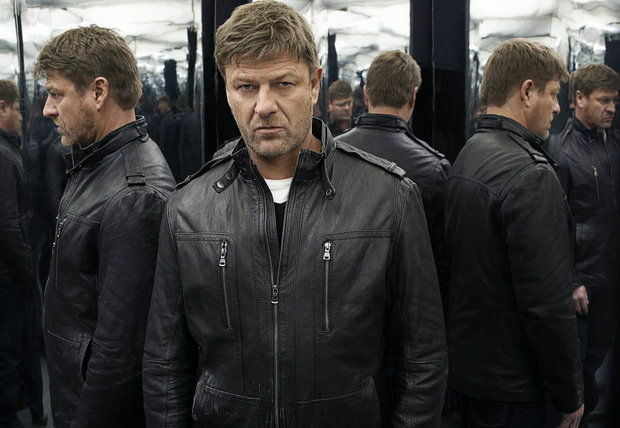 As you may have heard, seen and read on the Internet, Sean Bean is prone to dying on the big and small screen. TNT also knows it. On Thursday (July 10) morning at the Television Critics Association press tour, TNT presented a panel for the new undercover FBI agent drama "Legends." At each of our seats, we had a t-shirt with the hashtag #DontKillSeanBean emblazoned on the front. So it wasn't like it was bad form for Sean Bean to get the panel's first question and for it to be about his predilection toward on-screen death. In fact, he probably ought to have know it was coming eventually, if not immediately. Bean was uncomfortable when asked about the fascination. "Quite bizarre. I guess, well, I�ve died quite a few times, actually, and I�ve died a lot of different deaths. Maybe it�s the quality of my death they�re fascinated by. I�m still here anyway." After a little more prodding, Bean was willing to list his favorite death. And no, it's not "The Smurfs." Bean says, "I liked 'Lord of the Rings,' that death. I was quite happy. Big death." Not a controversial choice, but a choice. The issue returned again a few minutes later when another questioner asked if Bean had been cast in "Legends" exactly for the purposes of making audiences believe that any of the main characters could die at any time. "That was not actually, I think, the main reason why Sean was cast. But it�s certainly kind of a fun benefit of the fact that that�s going to be a question," say David Wilcox. Thankfully, that was that for questions about Sean Bean's potential for death. One wiseacre, however, asked if real-life undercover operatives tend to be as good-looking as the "Legends" cast, which features Bean and Ali Larter, among others. Yes, that wiseacre was me, but this is always a question I have when we have TV shows about gorgeous undercover agents: Wouldn't you want undercover operatives to be as forgettable and malleable-looking as possible? Ali Larter and Sean Bean may wear different wigs or affect different accents, but they're always going to have impressive and recognizable bone structure. "Well, you know, usually in television shows we try to cast really unattractive people just as a general rule," Wilcox replied." No. I think, look. Yeah. I guess they�re a pretty good looking cast, generally speaking. But I don�t think so much so that it�s going to take you out of the show." But what I wanted to know was whether, in his actual research, he made any aesthetic judgements on the sorts of people who are most useful as undercover agents. "I think that in terms of actual research and what really happens with these, there�s all kinds of people who certainly do this job," Wilcox said. "But I think it speaks to Sean�s ability to kind of almost chameleon like step into these different roles and do it really seamlessly, and, you know, he deeply imagines sort of what that character is. I don�t want to speak for you, Sean, but yeah. So I think it�s really sold. I think it feels really real." "Legends" premieres on TNT on August 13.